As an English teacher, I get asked this question more than any other! Answering this question is difficult as there are no secrets or shortcuts for you to achieve fluency … sorry. However, there are ways you can help yourself become fluent much quicker! Keep an English Diary & Teach Yourself! Write down EVERYTHING you learn in a designated journal or diary! From reading a phrase, to thinking about it, to saying it out loud and then writing it down; we call this Repetition, which is key to not only learning English words or structures but remembering them and being able to use them when you need to. 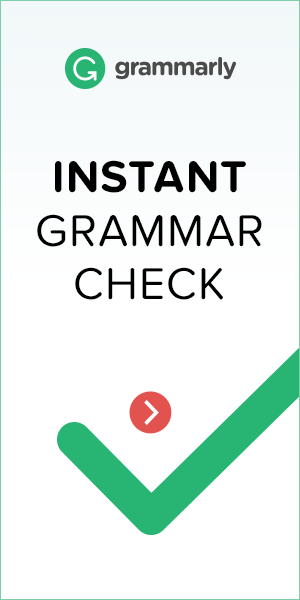 Explain grammatical points and vocabulary meanings in your own words. Grammar books and dictionaries are fantastic … if you can understand them! My advice would be to write down grammar and vocabulary in a way that YOU can understand it! This will make it a lot easier for you to remember. Revise when you are doing ‘nothing’. If you spend time travelling on a bus, in the bath or even on the toilet, these are perfect opportunities to read and reintroduce your knowledge from you journal/diary. Use your time wisely. Of course you watch British or American TV series and movies, but how often do you really listen? You won’t find a better example of the correct context for vocabulary or pronunciation than from an English speaking movie or song. Listen and note down (in your English diary!) how native speakers use the words or structures you are looking for. Read magazines, blogs and newspapers in English. It seems a pretty simple and common piece of advice, right? That’s because it works! Listening to examples in movies and music is great but you physically SEE the grammatical structures and styles when it is written. * BONUS TIP – add newspaper cut-outs to your English diary as examples. Use YouTube as much as possible! You have a free, almost-unlimited resource of English videos at your fingertips! Again, search and find native examples of idioms, phrasal verbs and expressions and listen to how they are used. Every day, you have the possibility to speak English. You just need to be brave! From shopping with your friends, buying a coffee or helping lost tourists! There is always an opportunity to practice your new vocabulary and the structures that you have been working hard to learn. Speaking once or twice a week with a teacher is simply not enough, I’m afraid. Cafes, restaurants and food shopping = perfect opportunity! Here you can ask questions, listen to answers, give instructions plus much more! Have you ever realised that English lessons are usually based on real-life situations? Well, it doesn’t get any more ‘real-life’ than being in a real café! Email and SMS in English. I’m sure you have told your friends you are learning English. I am also sure they would like to help you, if they could. Well, they can if they chat to you in English! It might seem strange at first but you can talk about things you would normally talk about, the only difference is the language. Learn when NOT to use a word, phrase or structure! Now, I know this sounds crazy, but it is just as important to know when it is the RIGHT time to use a word as when it is the WRONG time. We call this contextual meaning. If you use the wrong word when speaking to someone, you are likely to confuse them or provoke a strange reaction you weren’t expecting. This is a big sign that you made a mistake somewhere! Focus on fluency, not just accuracy. Some English learners become obsessed with NEVER making mistakes! Does this sound like you? If so, then stop! Going back to the original question of “how you can become fluent immediately”, it doesn’t happen by just learning grammar or by trying not to make mistakes. You have to focus on the communication and accept that mistakes will happen naturally. Just stay focused on keeping the conversation flowing. Are you ready for this … NATIVE SPEAKERS MAKE MISTAKES TOO! It isn’t just you! However, there is a difference. Native speakers will usually correct themselves if and when they make a mistake and this is a habit you should start. Recognise your mistakes and correct them. Correct your errors long term, not just for that conversation. Yes, it is important to correct yourself during the conversation but make sure you don’t keep making the same mistakes. This takes time but it will help you make constant progress. Set SMART goals. Make sure your targets are SPECIFIC, MEASURABLE, ACHIEVABLE, REALISTIC & TIME-RESTRICTED. This will keep you motivated whilst allowing you to challenge yourself in a realistic way. Give yourself enough time to actually achieve your targets and don’t expect to conquer the English language in a week! Remember, the pyramids are tall and impressive but they were built brick by brick! Measure your progress. How do you know you are moving forward if you don’t look back? Test yourself with pieces of text that you found difficult to read, by watching movies or listening to music which you couldn’t understand before or even have the confidence to speak to somebody in English! Not only will your fluency improve just by practising but you may be surprised by just how much better you have become! English Teacher and Co-Founder of Word Perfect English. I was born in Newcastle, England but currently live in the beautiful city of Budapest. I have taught English in several countries including South Africa, Mexico and Hungary. I possess over 1500 hours of English teaching experience, 7+ years experience of being involved in employee training and education and I love what I do! I believe everybody should be able to learn and practice speaking English and Word Perfect English makes it possible. ⟵Would You Like English Speaking Lessons via an App? Thank you very much for your kind words, Augusto. If I can help you in anyway, please just let me know.